Thanks to Martha Carter and Michael Wainright for providing the following information. I. General Characteristics - 9-1-1 in Louisiana is a parish-based collection of systems with a myriad of configurations. All are similar in some ways similar, but no two systems are identical. The differences are in small part due to the manner in which they were created, but are primarily a reflection of their location and the political realities of that location. There are issues and problems, which are common to each Communications District but the solutions are, more often than not, unique to that particular Communications District. The establishment of a single, 3-digit phone number for citizens in need of fire, medical or police emergency services has mandated a degree of unification and uniformity of operation among public safety entities which were historically accustomed to functioning autonomously. Prior to 9-1-1 a citizen needing a fire department would dial that agency's 7-digit number and the fire department's internally developed protocols would govern how that call was handled. Now that caller dials 9-1-1. When a citizen dials 9-1-1, the call is automatically routed to a pre-determined location, known as a Public Safety Answering Point ["PSAP"]. The call is answered by a call taker who determines the nature of the emergency and either handles the requests for emergency services or routes it to the appropriate public safety agency for emergency response. Who performs the call taker function and what happens from that point varies widely from Communications District to Communications District. Some Communications Districts hire their own call takers some use Sheriff Department employees, some use Fire Department personnel and others use combinations. 9-1-1 became the catylist for all public safety agencies to work in concert. Each configuration is a reflection of the particular characteristics of the Parish where it operates. III. Legislative History in Louisiana - In 1979, Lafayette Parish pioneered the creation of a 9-1-1 system for its area. House Bill 480 of 1979, authored by Representatives LeBlanc, Bares, and Thompson and handled by Senators Mouton and Champagne on the Senate side, established the first Communications District in the State of Louisiana for the purpose of establishing and maintaining an emergency telephone service for Lafayette Parish. This enactment, which became Act #788 of 1979, set the precedent for a 9-1-1 system with each Communications District boundaries being based on the geographical boundaries of each of the sixty-four parishes in Louisiana. In 1982, House Bill 1245 introduced by Representative Landrieu, created the Orleans Parish Communications District [Act 155 of 1982]. Likewise, Jefferson Parish Communications District was created by House Bill 1208 that same year [Act 156 of 1982]. In 1983, House Bill 1326 created separate Communications Districts for the Parishes of St. Bernard, Plaquemines, LaFourche and Terrebone [Act 490 of 1983]. Representative Downer's House Bill #1065 of 1983 enacted the generic state legislation found at R.S. 33:9107 et seq. which established the overall mechanism for creation of Communications Districts in each of the remaining parishes [Act 550 of 1983]. House Bill #1065 provided that Parish Policy Jurors or a board named by the Policy Jury could operate a Communications District to establish and operate a 9-1-1 system for their parish. The law permitted a wide-range of methods by which Communications Districts could operate the system. (1) "Direct dispatch method", that is a telephone service to a centralized dispatch center providing for the dispatch of an appropriate emergency service unit upon receipt of a telephone request for such services and a decision as to the proper action to be taken. (2) "Relay method", that is a telephone service whereby pertinent information is noted by the recipient of a telephone request for emergency services, and is relayed to appropriate public safety agencies or other providers of emergency services for dispatch of an emergency service unit. (3) "Transfer method", that is a telephone service that receives telephone requests for emergency services and directly transfers such requests to an appropriate public safety agency or other provider of emergency services. (4) "Referral method", that is a telephone service that, upon the receipt of a telephone request for emergency services, provides the requesting party with the telephone number of the appropriate public safety agency or other provider of emergency services. The governing authority of the district shall select the method that it determines to be the most feasible for the parish. The enactment of Act 550 of 1983 confirmed that Louisiana had elected to implement its 9-1-1 systems on a Parish-by-Parish basis. Further the incorporation of four general methods of operation was a recognition that the needs and abilities of the parishes varied. Other states approached 9-1-1 implementation on a State-wide basis, while others used a regional approach. The initial creation of Communications Districts for Lafayette, Orleans, Jefferson, St.Bernard, Plaquemines, LaFourche and Terrebone Parishes by individual acts and the subsequent adoption of the generic legislation for the remaining parishes has often been a source of confusion. Each of the individual acts and the generic bill are slightly different. When subsequent events and developments have created the need for legislative revisions those differences have expanded. Further, legislation enacted over each of the past three years has generated additional differences even among the parishes which are governed by LSA-R.S. 33:9101 et seq. Those differences, coupled with the operational variances in the various Communications Districts, make any centralized approach with statewide application all but impossible to fashion. 3>IV. Recent Legislative Enactments - Recent experience with in global attempts to legislatively address emerging 9-1-1 issues has shown how difficult that task can be. In 1995, in an effort led by Caddo Parish Communication District #1, House Bill 1969 was drafted to comprehensively address a number of emerging issues affecting 9-1-1. The legislation sought to: 1) better define 9-1-1's expanding mission; 2) provide a means for sparsely populated rural parishes to provide basic 9-1-1 service to its citizens; 3) convert its funding basis and 4) assess a 9-1-1 fee on new communication technologies. This bill was derailed primarily over the issue of whether or not a new citizens' vote would be required before cellular customers would be assessed a 9-1-1 monthly service fee. Ultimately the bill passed the House but failed to win enactment when the Senate adjourned sine die with the bill sitting third on the calendar. While H.B. 1969 of 1995 did not pass, local bills incorporating many of the changes did pass for Lafayette Parish [Act #1241], Orleans Parish [Act #726], and Jefferson Parish [Act #447] in that session. These Acts amended the original Acts which created those Communication Districts. While similar, none of the Acts were identical. Additionally, one of the LSA-R.S. 33:9101 et seq. Communication Districts, Assumption Parish, did win approval of a local bill, House Bill 150 of 1995, which incorporated many of the features in House Bill 1969. Subsequently, during the 1996 Extra-ordinary Session, the Caddo Parish Communications District #1 was successful in gaining passage of House Bill 224 which amended LSA-R.S. 33:9102 and added 33:9131.1 which clarified the Caddo District's right to fund system enhancements, permitted conversion of the surcharge to a flat fee, and authorized assessment of cellular and other wireless telecommunication devices, but only after voter approval. Thereafter, on September 21, 1996, Caddo sought and received voter approval to assess cellular. In 1997, House Bill 300 was introduced by Representative Bob Barton on behalf of Bossier Parish. East Baton Rouge, Franklin, Grant, Iberville, LaFourche, LaSalle, Natchitoches, Plaquemines, Rapides, Richland, St. Mary, Terrebonne, Vernon and Winn Parishes were added to the bill before it was passed. The bill amends LSA-R.S. 33:9102 and adds 33:9131.5 to permit conversion to flat rate assessments and assessment of cellular and other wireless telecommunication devices. Therefore on a piecemeal basis, and with some differences, approximately one-third of the existing 9-1-1 systems in the state have managed: 1) to get authority to utilize a flat fee assessment; 2) to clarify the role of the Communications District; and 3) to gain authority to assess cellular and wireless telecommunications devices. Flat Fee Assessment - Funding of 9-1-1 systems is primarily through the imposition of a emergency telephone service fee on each telephone subscriber. The fee is on the subscriber's phone bill and is collected by the service provider who remits the fee to the Communication District. Originally, the legislation provided that the fee was based on the applicable tariff rate(s) in the Communication District. H.B. 1969 of 1995 and it progeny bills provided for conversion to a flat rate rather than a percentage of tariff rate. The reason for the conversion was that the deregulation of telecommunications and the proliferation of competitor companies were bringing about the abolition of tariffs. Communications Districts' use of the funds varies depending on the method of service they are employing and how delivery of that service is structured. Some Districts utilize the bulk of their resources to employ call takers, others rely on public safety agencies to supply the personnel, and they supply the facilities and equipment. The larger metropolitan areas are able to provide Enhanced 9-1-1 service augmented with "CAD" [computer aided dispatch]. Some of the smaller Districts remain unable to provide even basic 9-1-1 service. Funding of System Enhancements - The telecommunications field is one of the most rapidly changing areas in today's marketplace. Innovations, changing markets, emerging technologies, increased competition are just some of the factors that make public safety communications a fluid sphere of operation. When the 9-1-1 concept first emerged, adoption of a single 3-digit phone number for citizens to request all forms of emergency assistance was the single most effective step to minimize the time between the creation of an emergency situation and the delivery of an appropriate public safety response. Soon after basic 9-1-1 service began to emerge, the ability to enhance that service was developed. Enhanced 9-1-1 or E 9-1-1 has the ability to deliver a caller's phone number and physical address to the public safety communication officer who takes the call. These enhancements are valuable tools in situations where the caller is unable to communicate due to illness, age, or some other reason. Presently these enhancements, known in the industry as "ANI" [automatic number identification] and "ALI" [automatic location identification] are available only when the call originates from a landline, but the Federal Communications Commission has issued FCC Order 94-102 which mandates that cellular and other wireless services also deliver this information to the "PSAP" [public safety answering point]. In addition to the ALI and ANI tools provided by enhanced 9-1-1, technology is also able to provide the PSAP with a "CAD" [computer aided dispatch] system. A CAD is a computer program which utilizes the ALI data to assist the dispatcher of emergency service to know what public safety agency and/or public safety unit [patrol car/ fire truck] is best able to provide response to the particular emergency based on the geographical location of the emergency. Beyond CAD is "AVL" [automatic vehicle locators] which combine the CAD system with "GPS" [geographical position satellite] systems to actually pinpoint public safety vehicles at geographical co-ordinates which can be displayed via maps on computer monitors that display the location of the emergency and the proximity of response vehicles. Other related areas of emerging technologies relating to public safety communications include 800 MHz radio systems and mobile data terminals which enable better communications between the dispatcher and the public safety officers who are responding to the requests for emergency services. "MDT" [Mobile Data Terminals] creates the capability to send directional maps or even layouts of buildings which are on fire. 800 MHz trunked radio systems permit intercommunication between fire, police, sheriff, and medical emergency personnel in multi-agency response emergencies. These system enhancements, which did not exist when the original 9-1-1 legislation was adopted, are all important tools that reduce the total response time between the requests for and the receipt of emergency service. The post-1995 legislation has recognized the value of the innovations and provided that attaining system enhancements is an appropriate activity for a Communications District. The level of enhancement that is feasible and appropriate will vary widely from Communications District to Communications District. Assessment of Cellular and Wireless Telecommunication Devices - The technological changes have not been restricted to public safety communications. The cellular/wireless industry did not exist when 9-1-1 legislation was being adopted. As the industry evolved, even though cellular/wireless users were able to dial 9-1-1 and receive an emergency response, they were not being assessed the monthly emergency telephone service fee because they were not physical "lines." At first the response to the emergence of cellular/wireless varied around the state and the nation. Some Communications Districts like Jefferson and St. Tammany enacted resolutions and/or ordinances and began to assess cellular, but most did not. However, when cellular/wireless users call volume to 9-1-1 increased dramatically as cellular/wireless phones proliferated, it became clear that cellular/wireless users were deriving a substantial benefit without paying their fair share. In fact the marketing pitch that pushed cellular/wireless use beyond the business world and into the general public was the added safety factor that a cellular/wireless phone provided in case of emergency. Since cellular/wireless calls do not transmit ALI data to the PSAP, the call takers found themselves spending substantially longer on cellular/wireless generated calls trying to establish the location of the emergency. Those longer inquiries, coupled with the skyrocketing volume of cellular/wireless calls, posed a substantial drain on Communication Districts budgets. The majority of the cellular/wireless service providers recognized the value of 9-1-1 service to their customers and the legitimacy of the Communications Districts' desire to assess cellular/wireless service. In addition to Jefferson and St. Tammany, cellular/wireless providers also voluntarily reached contractual agreements with Caddo and Bossier Parish Communications Districts to assess their customers. H.B. 1969 of 1995 and its progeny sought to make statutory provision to clarify and confirm the Communications Districts' authority to assess cellular/wireless. Presently, approximately one-third the Districts have authority to assess cellular/wireless. Now, as noted above, there is a push to require cellular/wireless service providers to develop systems that will send ALI and ANI data to the PSAP so that the call taker will know the location of the caller and the phone number of the cellular/wireless device being used. The Federal Communications Commission has mandated in FCC 94-102 that this capacity be developed and implemented over a defined period of time. The order also provides that before the cellular/wireless service provider is required to provide these features in a given area, a mechanism for cost recovery must be in place. The FCC has left the tasks of determining how cost recovery will be accomplished to the states. At present representatives of the Communications Districts and the cellular/wireless industry have been meeting to work on a consensus approach to development and adoption of a mechanism for cost recovery. A necessary part of that solution will incorporate authorization for the remaining parishes to assess cellular/wireless. Multi-parish Communications Districts or Contracted Services - HB 1969 of 1995 had sought to permit multi-parish Communication Districts and to allow one parish to contract with another for its 9-1-1 service. It was apparent that some of the sparsely populated rural parishes could not afford basic 9-1-1 services because funding for 9-1-1 is primarily attained through a service fee added to residential and business phone lines. There are still twelve parishes which do not have functioning 9-1-1 systems. Eight of those parishes have obtained voter approval and are in the implementation stage. Typically, once voters approve the proposition, collection of the fees commences with the initial funds being used to create uniform addressing in the parish and acquisition of the communication equipment that is necessary to route and receive 9-1-1 calls. The fewer telephone customers, the longer it takes to generate the necessary revenue to get the system operational, and the less elaborate the ultimate system will be. Technological advancements make it feasible for multi-parish systems to function with a single 9-1-1 system. Likewise, technology makes it possible for neighboring systems to handle another parishes 9-1-1 calls on a contract basis. When H.B. 1969 failed to pass the individual Communication Districts concentrated on their own situations and none of the subsequently enacted legislation has addressed multi-parish communication districts or the authorization of one communication district to contract to provide 9-1-1 service to another parish. If the State of Louisiana is ever to have statewide 9-1-1 service some method of establishing regional or combined will have to be enacted. V. Coordination of 9-1-1 Efforts - Despite the wide range of approaches to the delivery of 9-1-1 services that exists around the State, there has always been a spirit of cooperation and comraderie between the Directors and personnel of the Communications Districts throughout Louisiana. All any new Communications District needs to do is ask, and it will be given every conceivable assistance from the established Communications Districts. Issues like street addressing, equipment selection, communication system layout, are common to every PSAP [public safety answering point] in the country. While each Communications District must tailor its approach to the circumstances it faces, much can be learned from the other Communication Districts. 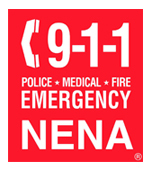 National organizations like the National Emergency Number Association ["NENA"] and Association of Public Safety Communications Officers ["APCO"] and their state chapters are indispensible sources of information and instruction. Each of these organizations provide training courses, industry-related periodicals, product shows and related information to the 9-1-1 community. They operate as international clearinghouses for the latest in technology, legal issues and legislative developments that affect 9-1-1. Communication and coordination links between the various 9-1-1 Communication Districts in Louisiana have developed naturally and effectively through the years. Each District has borrowed ideas from others, and at the same time fashioned a system that uniquely fit their particular situation. Recognition and acceptance that a single statewide mandated structure was neither feasible nor desireable are products of that experience.